Kathy & Peter from Baby Mattresses Online went to London this weekend Royal Baby watching, along with with our two dogs, Teddy & Benji. We do hope Kate & Wills are well prepared with their baby mattresses & "royal" themed baby changing mats. Our dogs were reported to be the "most interesting thing that happened outside the Lindo wing today". They caused a sensation with the world's press filming & photographing them. 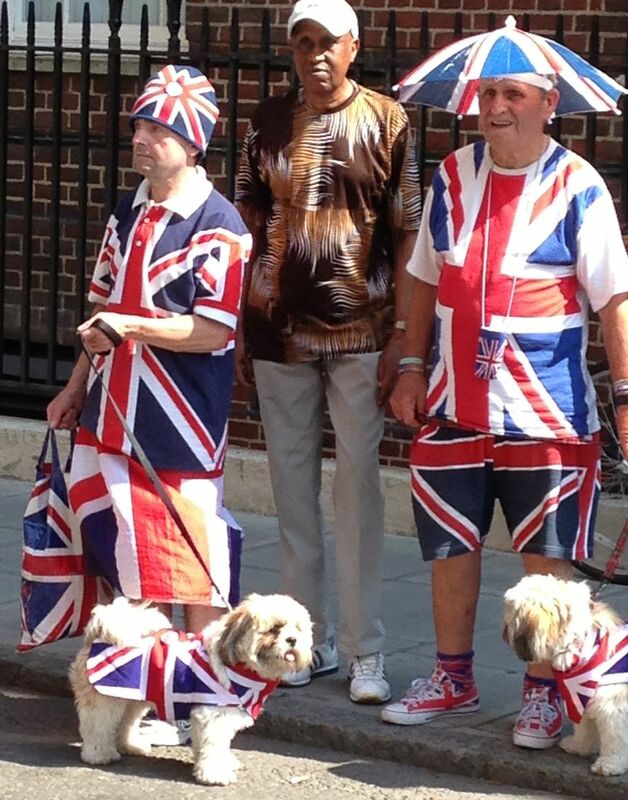 Seen here with Terry Hutt & John Loughrey - the Royal superfans! If you perhaps want a "royal" themed baby changing mat just contact us.